A Christmas Carol on the Air will be December 20-22, 2017. This is Cedar City’s annual holiday classic for all ages! 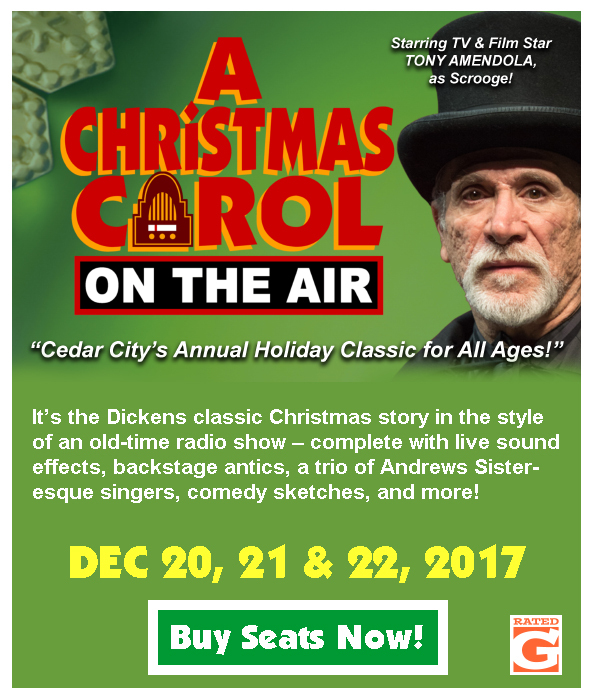 Rated G.
It’s the Dickens classic Christmas story in the style of an old-time radio show – complete with live sound effects, backstage antics, a trio of Andrews Sister-esque singers, comedy sketches, and more!